Hello hello hello!!!!! Many apologies for not being an active blogger!! I feel so bad because I have soo many things I want to blog about too!! Lately I've really been not in the "blogging" mood so I'm really trying to snap myself out of that ❤. 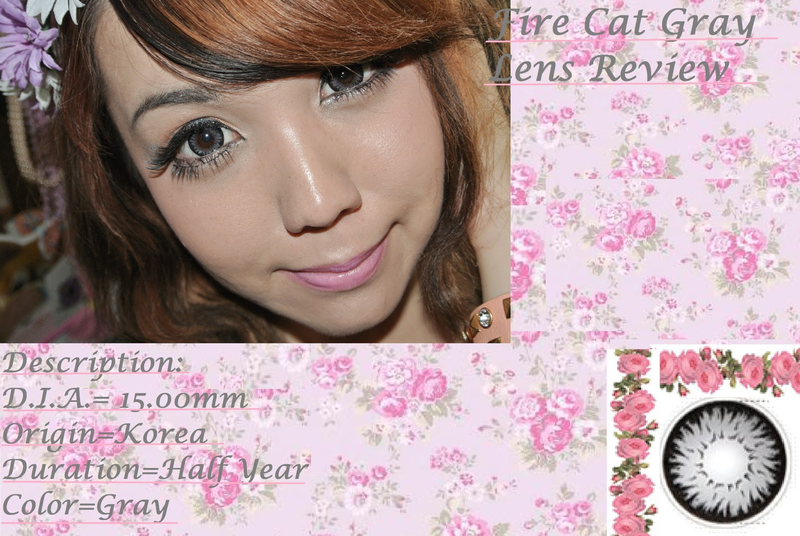 So today I have a sponsored lens review from the amazing cute Pinkicon!! I love their website so much!! It's so adorable ❤❤. They sent me the pair: Fire Cat Gray. I really like gray contacts, but I kind of wish these were a little bit more brighter. The only way you can really see the pretty gray color is if you're in the light, but overall I like the color. The design is pretty but a little simple. The design does look a little like "fire" on the outer edges too which makes the name correct haha. These lenses are my regular lenses that I've been wearing daily. I love gray contacts soo much, so these are perfect too. If anyone likes gray contacts, check these out!! I hope you a liked this review. If you want to buy these lenses at Pinkicon you can click here. Go check out Pinkicon's rest of their website too. They have a bunch of lenses, eyelashes, wigs, and etc. And they're super cute!!! Thank you so much to Pinkicon for sending me lens to review. I really like your eyemakeup !